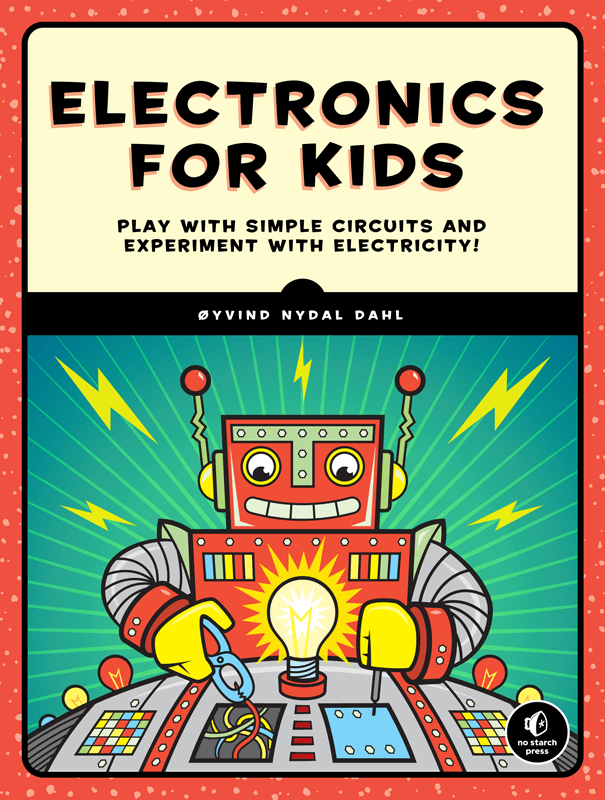 Electronics for Kids is my new book that I’ve developed over the last 12 months. 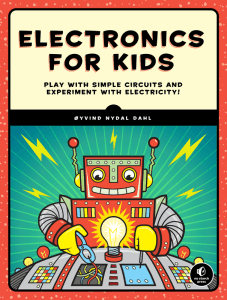 It teaches you to build awesome electronics projects, all on your own. First, you’ll learn how circuits, voltage, and current work, and then you’ll apply that knowledge in hands-on projects. Each part of the book focuses on different fundamental electronics concepts. At the end you’ll be able to design your own game made of both analog and digital electronics. When you pre-order you’ll get access to the four first chapters right away (in pdf). And the next four is aaaalmost ready for you. The cool thing about getting early access is that you get to send me feedback. If there’s something you don’t understand or something you would love to see — I’ll have a chance to fix that before sending it to the printer. When it’s printed, you’ll get your hard copy right away.